A dynamic conductor hailed for “awe-inspiring” (Winnipeg Free Press) performances, John has cemented his reputation as one of Canada’s finest chamber choir conductors. 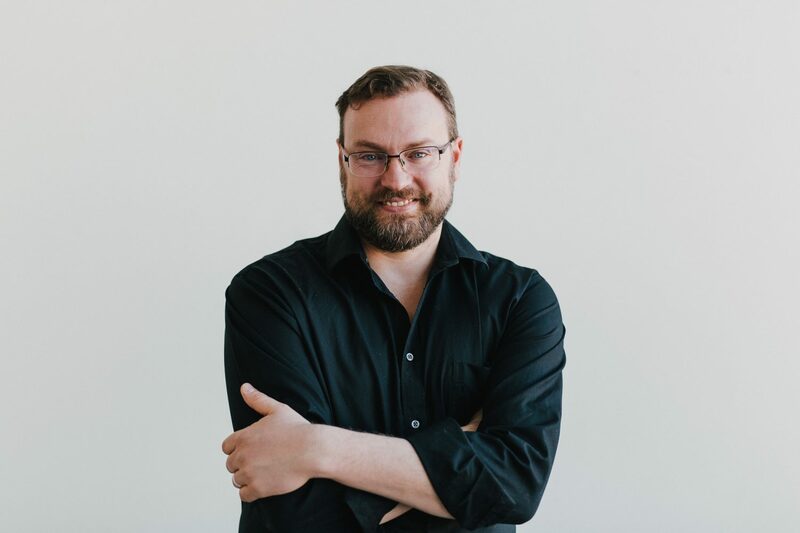 He is the artistic director and co-founder of Polycoro Chamber Choir, a co-curator of Camerata Nova, and begins a new post as Director of Music of the renowned professional chamber choir at St. John’s Anglican Church, Elora in May 2019. John has appeared on stages across the world, pursuing an innovative path as a programmer known for an uncommonly wide repertoire. John’s inquisitiveness and love of investigation often results in the performance of new music, and music from before 1700. His conducting career has ranged from Belgium (University Chorus for L’Université Catholique de Louvain) to Morocco (Ensemble Voca Me) to Montreal (St. Matthias Anglican Church, Westmount) and Winnipeg (Polycoro, Camerata Nova). CMU, McGill, and the University of Sherbrooke respectively. He has studied privately with Paul van Nevel, (director of the Huelgas Ensemble), Christopher Jackson (SMAM), Andrew Megill (University of Illinois), Konstantin Krechler, and Donna Grescoe. John is constantly expanding his knowledge of music ancient and modern. He has conducted the premiers of works by Andrew Balfour, Norbert Palej, T. Pat Carrabré, Neil Weisenthel, and Isaiah Ceccarelli, and regularly programs repertoire by many of Canada’s leading composers including Anna Sokolovic, Mychael Danna, Vivian Fung, Nicolas Gilbert, and Oleksa Lozowchuk. When not performing, John is in more and more demand as a clinician, adjudicator, and juror, participating in these activities as often as his busy schedule will allow. He is honored to work with and support new talent. He loves spending his spare time with his wife and sons in the kitchen or outdoors, and he is an avid fencer.